Brigitte Wachs was born in Graz in 1932 as Brigitte Welisch. After the Anschluss her father and her uncle were imprisoned in Dachau Concentration camp for a short period. After their release the family fled to the Philippines via Italy, where they experienced the Japanese occupation. 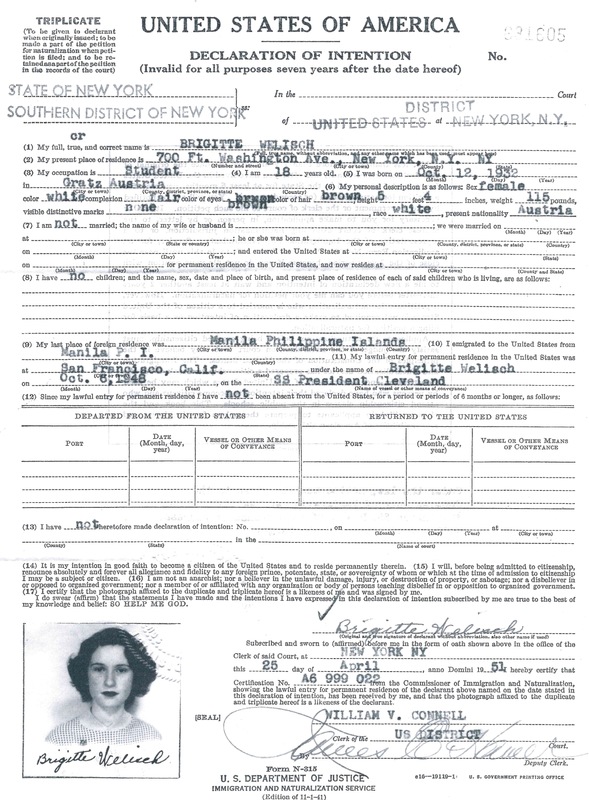 In 1948, Wachs emigrated with her family to the USA. After completing high school, Wachs studied art at a college in New York. Afterwards she worked as a textile designer and later as an illustrator. At the time of the interview, Wachs was living in New Jersey. KF: You mentioned earlier that you emigrated to the Philippines. Could you give us some further information about your emigration route and what you experienced during your emigration? BW: Well, what was interesting is…as I said, my father and my uncle were at Dachau [Konzentrationslager Dachau]. And this was early in this whole set-up. So my aunt, my uncle’s wife, went to Vienna, and she arranged…she was able to contact somebody who knew somebody in Manila, the Philippines, whom they had met at the world’s fair. This man was a German, but he was opposed to the regime. He provided us with visas to go to the Philippines. He did not know us, we did not know him, so this was a very generous thing on his part. And then, at that point, we were told that if we were to leave immediately, then they would release my father and my uncle from Dachau, which happened. We left immediately with whatever we could. We went by way of Italy. We left from Genoa, on the Conte Biancamano, and it was, I think, a four-week-trip to go to the Philippines. Now mind you, my parents did not speak English, they did not even know where the Philippines was, and the only postcards they got from the Philippines showed backward areas with head hunters. But Manila was really a very nice city at that point. And when we got there…well, first of all, he did not have anything, and the clothing that he had…my father I am talking about…was European suits. And we arrived in the Philippines with a 100-degree weather. So when we got there…well, the first people who met us and tried to get us a place to live were American Jews who were active in this sort of thing. But the people who also were extremely helpful were the German Catholic Sisters of Santa Escolastica. They…first of all, they took my sister and me in and let us go to school there. They took my father and had a tailor make him a lightweight suit, so he could go look for a job. They were extremely, extremely helpful. So that was the beginning. KF: Have you ever been back to Austria? BW: Yes, once. In…when was it…1960-something, I think…65, something like that. KF: How was it for you personally? How was the experience? KF: How would you describe your relationship to Austria? KF: But you feel as an American? BW: Yes. I mean, I do feel, shall I say, my Austrian roots. I get very sentimental when I hear [Johann] Strauss music or the Radetzky-Marsch. Every New Year’s Eve they have that program from Austria, which I do not miss and…things like that…and the food. So, in that respect, I feel Austrian, but in most other respects, I am American. KF: How was it for you when you went back to Austria, maybe seeing…did you always think what people did in the war, and if they were involved with the Nazis? BW: Only a little, only a little. I do not tend to feel that way, because…I go back…I have visited Japan a number of times, and I should feel just as bad about of some of the atrocities that the Japanese did, but I cannot. This is behind me and the only time that…for instance…not even so much in Austria, but I was in Germany, and I went to some of the museums and there was this old man and he was starting to tell me about his submarine experience. So then you have funny feelings, but generally speaking, no. I mean, this is past. I do not…how should I put it? I think it was terrible, but most of the people who were involved with all this are dead. You know? [Lacht.] That is how I feel. KF: Do you speak German from time to time? BW: I used to speak it more when my mother was still alive, and my sister and she and I would get together with her…we would speak German. But now I speak German, I understand German, but I have to think. It does not come as naturally, so I more or less have to think, and if you were to say to me: “How do you say such and such a word?” Forget it…then I cannot focus. But after I speak it for a while it comes back. KF: This is an Austrian Heritage Collection interview, conducted by Klaus Fiala with Brigitte Wachs in [Übergang/Schnitt.] Englishtown, New Jersey. Miss Wachs, would you just tell me your life story please. KF: Let us start with your family background. Do you have any recollections of your grandparents, what were their names, what did they do for a living? Could you just tell us a bit more about them? 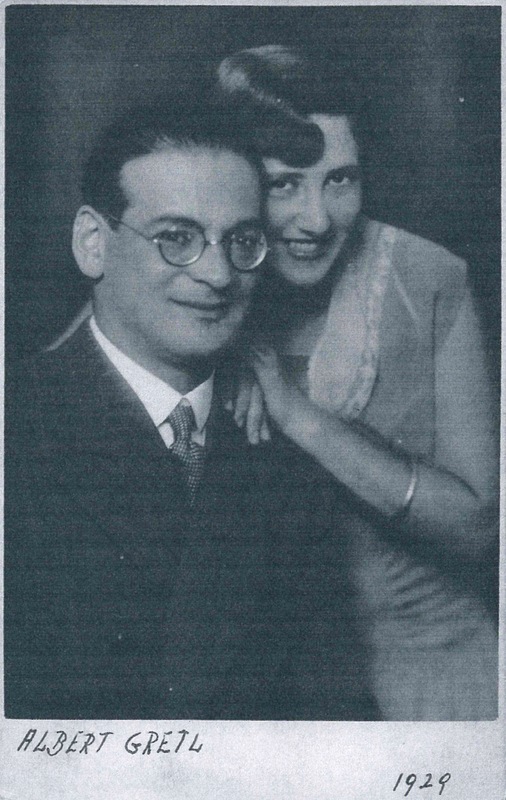 BW: My mother’s parents were Jakob and Hermine Loewy. They had a store that sold men’s wear. Jakob died in 1938, but Hermine came to the Philippines with us. And then she came to the United States as well. So I have a good recollection of her. My other grandparents…my grandfather, Isador Welisch, he died before I was born, in a car accident. He owned a very elegant men’s haberdashery store on the main street of Graz. His sons, my father, my uncles, ran this after he died. And my…his wife, Rosa Welisch, she died shortly after I was born, so I really did not ever get to know her. KF: Could you give us further information about your parents, their names and their occupations in Austria? BW: Sure. Well, my father’s name was Albert Welisch, my mother’s name is Margarete. They both ran that store on Hauptstraße. It was a very elegant men’s store. So, they were both involved with that. KF: Were they both Jewish? And their parents were Jewish too? KF: So there was a long tradition of Judaism in your family? 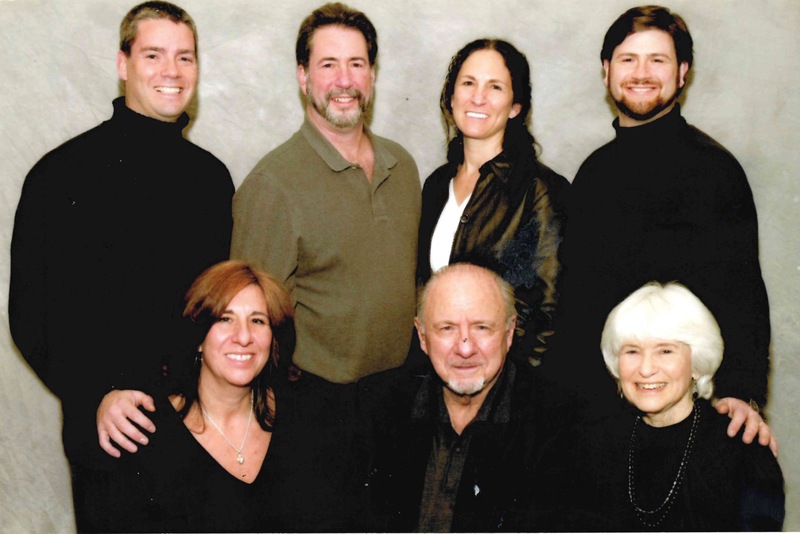 BW: Yes, as far as I know, I have got some family trees going back to eighteen-something and it goes all the way back. KF: Did you have any siblings? BW: I have one sister. Her name is Susi. KF: Is she older or younger? BW: She is four years younger. KF: Do you have any recollections if religion played a…what part did religion play in your family, and was there maybe a change before and after the Anschluss, or before and after your emigration? BW: No. I…my parents were observant Jews, but I do not think they were overly religious. I mean, they were not orthodox. They were just…what everybody else was. They were just observant Jews. And nothing changed after that. KF: How is your relation to religion nowadays? BW: I am observant. I am not particularly…I do not go out of my way to go to services every week, but I observe the holidays and I try to have my children observe them. KF: So you are passing the religion on to your children? KF: Was your family a political family? BW: No. Not at all. KF: Do you have maybe…I mean, you were born in 1932…but do you have any recollections of the Anschluss, or maybe some specific event? BW: Yes, definitely. I mean, I was just a child, but I do remember the night that the Gestapo [Geheime Staatspolizei] came to take my father and my uncle to concentration camp. Although I did not know what was happening, I was aware of the stress and the excitement in the family. And this may be humorous, but I had…my father’s uncle was in the house, and he was sick. As a child, I went into the room and I got all upset, because I thought all his teeth fell out…well, he had false teeth and put them on the table. [Lacht.] These are stupid recollections, but it has been a long time and I still remember that. KF: Do you maybe remember, or maybe your parents mentioned something, that your relationship to Christian Austrians…and how it changed after the Anschluss, or after the overtake of the Nazis, maybe in Germany or in Austria? BW: Yes. Well, I was not aware of it, but I heard talk of…my parents. I had…there was a lady who was sort of a nanny to me, and all of a sudden she had nothing to do with us. The people in the store where my father worked, they took over the store and they sort of…he was nothing anymore. They just took it over. KF: How big was the Jewish community in Graz? Was there an active community? BW: Yes, very active. Very active. KF: It was not too big? BW: I could not say for sure, I do not have numbers. KF: What was your parents’ occupation in the Philippines, what did they do for a living? KF: So your status of living did not really stay the same? BW: No. I mean, we started out with nothing, but my father was very diligent and so was my mother, and they worked their way up to a certain degree, until the war caught up with us. KF: Before the war…your personal experiences…how was integration for you in the Philippines, how did you do with the language, in school? BW: I did okay. My parents struggled, but they learned the language and…kids do not have…I am sure you know, you speak an excellent English. [Lacht.] So, I did not have too much of a problem, and my parents made a point of speaking German at home, so that I would not forget that. And I went to the regular school, then…first I went to Santa Escolastica and then I went to the Filipino school…where they taught English. I mean, everything was in English in Manila. That was up until the Japs [Japanese] came. [Lacht.] Then everything changed again. BW: --the Japanese made no religious differences. As far as they were concerned, we were Austrian…and the rest of the Jewish community there was German or Austrian. So the only ones that the Japanese interned were Americans, French and British. And they were interned in a place…Santo Tomas [Santo Tomas Internment Camp]. On the outside, at first…of course, during war conditions, everything is tense. You do live in different circumstances…you kind of watch through the windows when they have a death march, walking the American soldiers down the street, and you had to be very careful with everything that you do. But, except for shortages on everything, we lived a reasonably normal life for that part of the world. I mean, you went to an open market…I did not go to a normal school, I had…there was this man who had a school in his house and we had maybe fifteen kids, ranging from first grade to sixth grade, and he was teaching everybody more or less at the same time. And I went from my house to his house on a bicycle with my sister on the back…that sort of thing. So, at the beginning of the war we were…we had the Japanese bombing the place, and then as things got more hectic at the…towards the end of the war, you had the Americans bombing. What happened though was…the American strategy at that time was: They came in from the north and the south of Manila, and they came in as far as to liberate Santo Tomas, and then they stopped. And now the Japanese and the rest of the civilians were trapped in the middle. The Americans were shelling us, the Japanese were burning the place. In front of the house where we lived we had these big acacia trees…they had dynamite in the trees, so they could fell them. And for the last…maybe month, I cannot tell you the exact time…we were moving from one dugout to the next. I mean, when I say dugout…these were holes in the ground with some corrugated…the corrugated iron that they used for roofing on top and some dirt on top of that. BW: No, it is like steel, but there was dirt on top of that, and the ground water…there was a very high level of ground water in Manila, so the water was coming from the bottom, the dirt on top…and that was the way we lived for a while, moving from one to the other. And as the Americans came towards us and the Japanese were burning everything, the only thing we could do was move from one dugout to the other towards the bay, because we figured at least there, there would not be any fire. Then, at one point, this one Filipino came and he started yelling: “The Americans are down the street!” So we picked up whatever we had left of our belongings, because each time we moved, we left something else. We just ran, and there was crossfire in the streets…you have to visualize this: My mother, my father, my grandmother, we had a little dog, my sister and I. At that point I was about fourteen. So we were running across all these crossfires and there were dead Japs in the street, all bloated up and black…in the sun, the bodies get all…and then we come across this first truck of Americans, and they do not even look like Americans, because they have just come from New Guinea and places like that, and they have been taking quinine and they were all yellow, but…anyway, we were very excited, and my father had kept a bottle of cognac. He gave it to these first Americans he saw. [Lacht.] Did you ever see the movie The Longest Day? Well, it is about the invasion of Normandy, and in that there is a Frenchman who gives the first Americans a bottle of cognac. Every time I see that, this whole thing comes back. But then, from that point again, my father had to start from scratch again, because everything was gone. KF: How were your feelings towards the Japanese military or the American…if we put it simpler, which side did you support? BW: Of course the Americans. KF: But did you see the Japanese military as the enemy? BW: Yes. I mean, you tried to keep on their good side, but they were the occupation army, and I mean, they were obviously the enemy, yes. KF: In what year did you emigrate to the United States? KF: Could you tell us a bit more about your emigration to the United States, about your emigration route and your arrival there? Or actually, also about how you got the visa for the United States? BW: Well, at that point we really did not need a visa, because my father had been in business and he saw that…he could prove that he could support himself. He was in business with my mother’s brother, and so he more…he did not really need a visa as far as that went. We went…we came from the Philippines to San Francisco, and then we moved to New York. That was uneventful, really. Then I started school here. KF: Did your father build his own business in America, or what did he do? BW: Well, he had more of a problem getting started here, because he was…he had been a self-starter and he had built himself up several times in the Philippines and all, and he thought that it would be the same here, but it was not. He ran into all sorts of problems and so, he had a number of different jobs here and he never really was able to establish himself here. KF: What did your mother do? BW: She was a saleslady in a ladies’ dress shop. KF: Where did you live in New York at first? KF: It was still your mother, your father, your grandmother and your sister and yourself? BW: Yes. Well, my grandmother died shortly after we came here, so it was basically my parents and my sister…and I.
KF: Then you went to high school here? BW: I graduated high school in Washington Heights, and then I went to college in New York City. KF: And you studied art? KF: Could you tell us some more about your art and about your job here? What kind of art did you do? BW: It was a commercial type of art. I did textile designing, and…at first I worked for a textile company that…I designed prints that went on fabric. Then, after my second child, I left that job and we moved to Connecticut, and then most of my artwork was involved with illustrations and stuff like that. KF: What did your husband do, and what is his name, and you could you tell us some more about him? KF: You told us that you have five children? This could take a while, but could you tell us their names and their professions? BW: Sure. My oldest is Cheryl, and she…right now, she is the manager of a T.J. Maxx department store. Then there is Gary…Cheryl lives in New Jersey. Gary lives in Texas, and he is an officer at a bank. And then there is Diane, she lives in Rhode Island, and…she used to work with computers, but now she is busy raising her children. Then there is Douglas. He lives in New Jersey and he is also a computer programmer. And then there is Richard. He lives in New Jersey and he is a doctor. They are all married. KF: Do you talk with your children about your story, and did you tell them and do they know what you went through? BW: Yes. I have had…even written a little autobiography, and my mother did, and my uncle did. So they are aware of it. The grandchildren, sometimes they are a little surprised. They will come home with something from school, and I will say: “Well, I was there”, or something like that. “Really?” But to them, this is ancient history. KF: How many grandchildren do you have? BW: Ten. And one great-grandchild and another one on the way. KF: How do you, as a war refugee, feel about wars that are going on? I mean, for example the Vietnam War or the Iraq War? Is it just the same as for every other citizen, or do you think you have special feelings towards these wars, because you had to emigrate from Austria because of the war? BW: Well, I think I am very anti-war. And there are certain things that still bother me that would not bother somebody else. Like for instance if there is a siren or a fire or something, and everybody else ignores it, I feel funny about it. And…I mean, I just do not think that there is any reason to have these wars altogether, and I think that…have the Olympics, have them fight it out in sports or something…that is my feeling. KF: This is actually the last question. Is there anything you want to say? Do you think I have left anything out in my questions? BW: I do not think so, I…the only thing I was wondering about is…I brought, from my attic, a bunch of things that are papers and documents and so forth, from my uncle and his parents. And I do not know if you want to look at any of them, or have any of them, because I feel that they are very important. I mean, some of the things that I have go back to World War I. I do not know, they are probably meaningless to a lot of people, but it just seems like history to me. But basically, I do not know. I am very happy that these things are documented. I am very happy that you are taking these interviews, because most of the people who went through all this are dying. I mean, obviously you only live so long. And there are people who say it never happened, and that is ridiculous. So it is important to get this all documented. KF: Thank you very much. BW: You are very welcome. 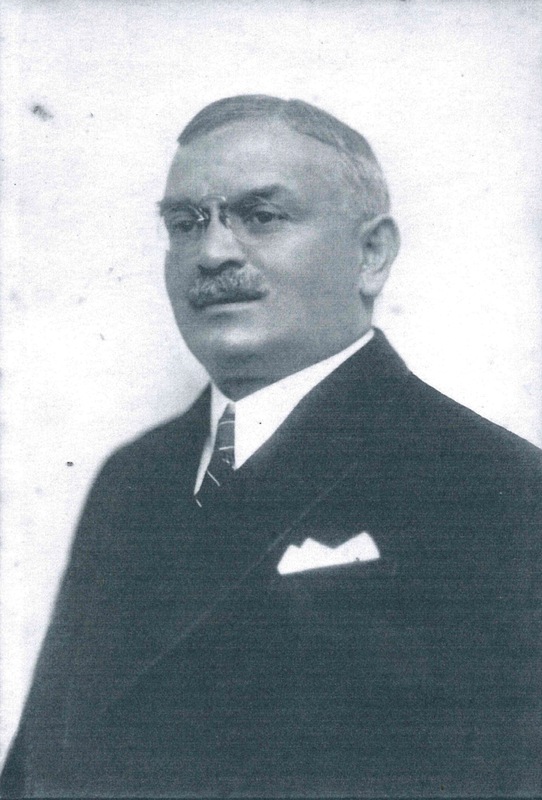 Wachs' grandfather Isidor Welisch, Graz 1925. Wachs' parents Albert and Margarethe (née Löwy) Welisch, Graz 1929. 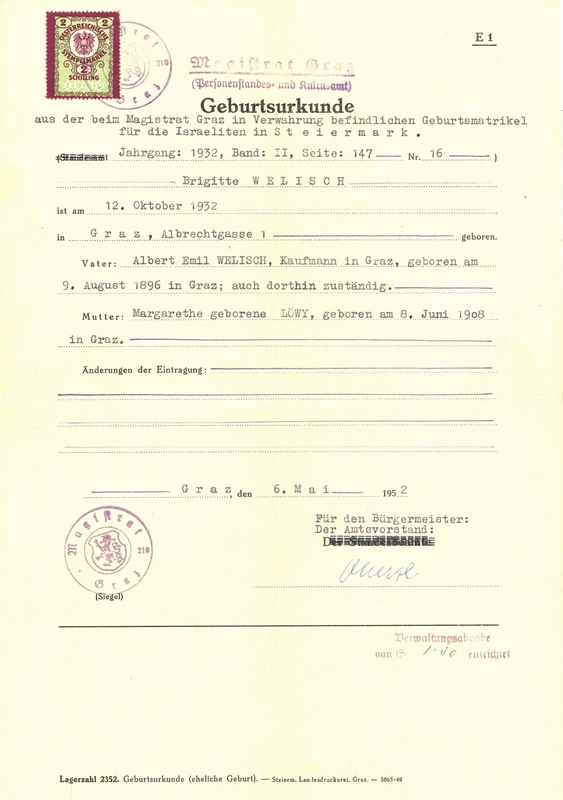 A duplicate of Wachs' birth certificate, Graz 1952. 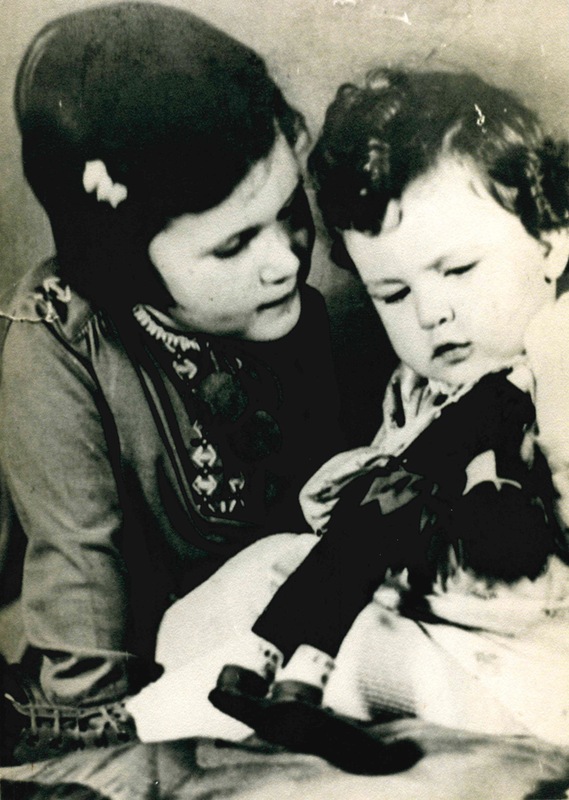 Wachs (left) with her sister Susi, Graz 1937. 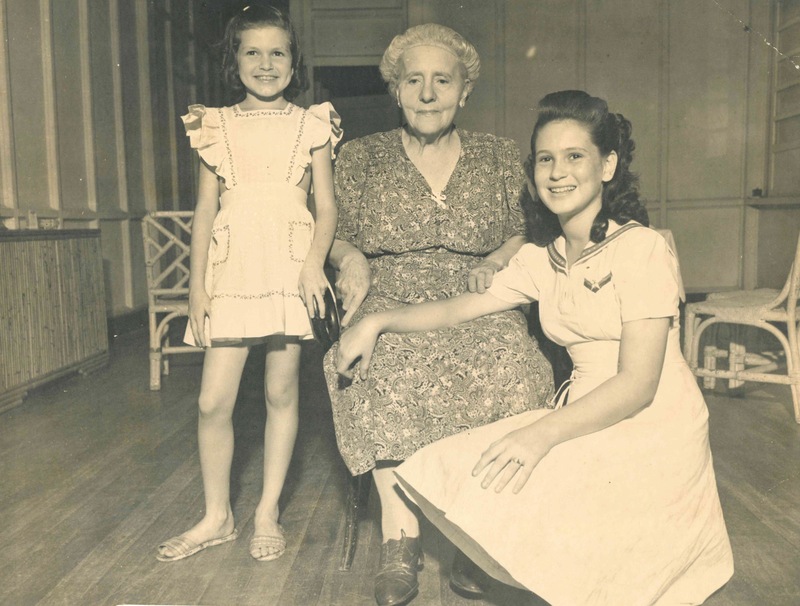 Wachs (right) with her sister Susi and her grandmother Hermine Loewy, Manila 1947. 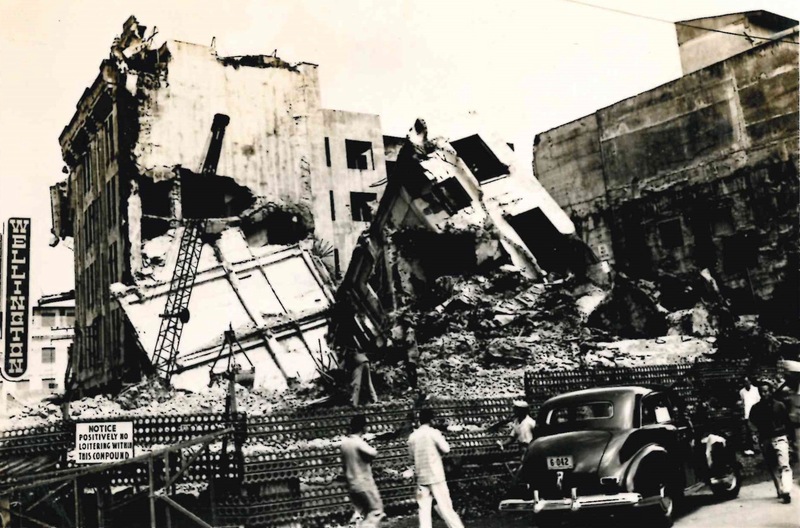 A house destroyed in the war, photgraphed by the Wachs family in Manila at the end of the 1940s. Letter of intent from Wachs (née Welisch), New York 1951. 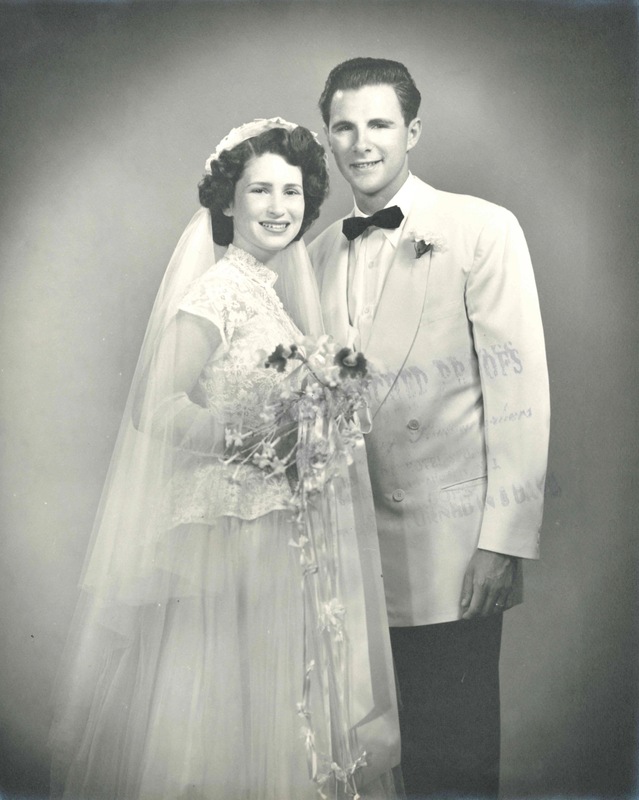 Wedding photo of Wachs and her husband Norman, USA 1953. 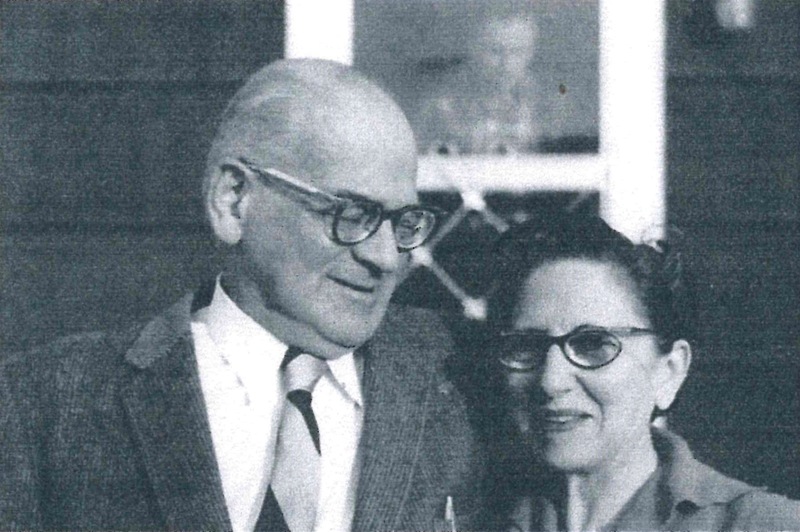 Wachs' parents, Albert and Margarethe Welisch, USA 1960. Wachs (right) with her husband Norman (second from right) and their children, USA 1991. 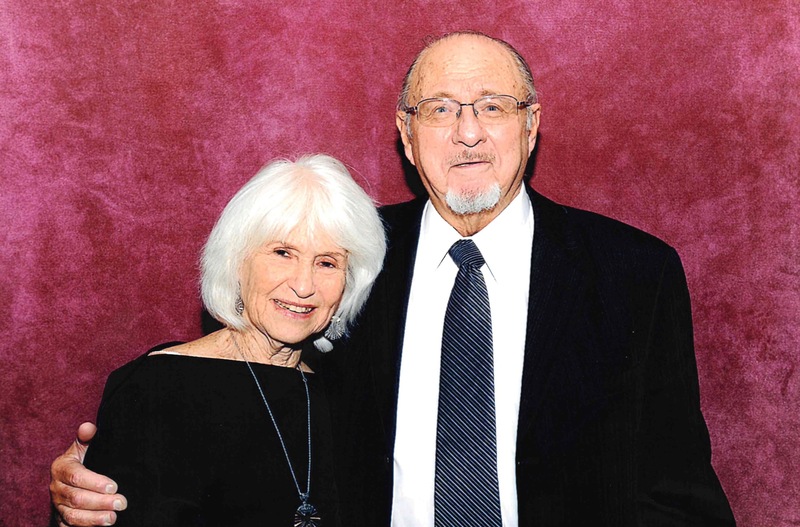 Wachs and her husband Norman, USA 2012.